Board-certified foot and ankle surgeons Les J. Glubo, DPM, FACFAS, and Mohammad Rimawi, DPM, AACFAS, are committed to getting you back to work and the activities you love as quickly and safely as possible. They work closely with you at every stage of the procedure at Grand Central Foot Care in Midtown East and Murray Hill in New York City. If you’re looking for a highly skilled and attentive foot and ankle surgeon, call or book an appointment online. What is foot and ankle surgery? 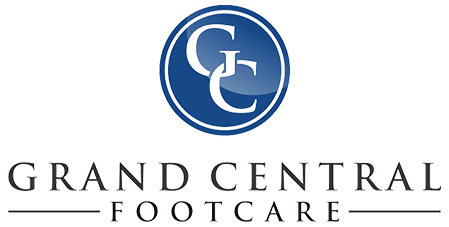 Dr. Glubo, Dr. Rimawi, and the team at Grand Central Foot Care always look for the most conservative means of alleviating your foot and ankle problems. They offer a wide range of advanced, nonsurgical treatments, including laser therapy. However, some podiatric conditions don’t improve with conservative treatments. In these circumstances, surgical intervention may be necessary to restore the quality of life that you deserve. With over 35 years of experience, Dr. Glubo and Dr. Rimawi offer the highest standard of care in foot and ankle surgery. They work closely with you throughout every step of the process, from the preoperative evaluation to the postoperative course of care. No matter which surgeon you work with, they’re available 24/7 throughout the preoperative and postoperative periods. Most people encounter some type of foot or ankle problem throughout their lives. However, some conditions that require professional treatment may not cause pain until the advanced stages, such as toenail fungus. 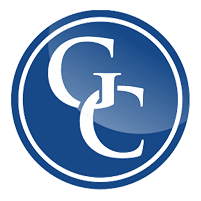 Any time you have foot pain or notice abnormal changes in your feet, such as a lump or discoloration, you should schedule an appointment at Grand Central Foot Care. What should I expect from foot and ankle surgery? The process begins with a detailed 30-60 minute preoperative visit, during which Dr. Glubo or Dr. Rimawi thoroughly evaluates your condition and reviews your medical history. Then, they develop the best surgical treatment plan for your particular needs. Dr. Glubo and Dr. Rimawi perform minor procedures right in the Grand Central Foot Care office using local anesthesia to numb the treatment area. For more complex procedures, such as reconstructive foot surgery, they schedule a quick appointment at a nearby center located within walking distance of their office. These procedures may require mild sedation as well as local anesthesia. If you need a highly skilled foot and ankle surgeon, call Grand Central Foot Care or book an appointment online.